Dr. Tim Holcomb practices as a chiropractor in Victoria, Texas (TX), specializing in pain management, nutritional counseling, and natural healing. 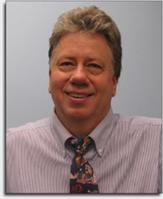 Dr. Holcomb is board eligible in chiropractic neurology and has advanced training in nutrition. Having the experience of practicing as a chiropractor for almost 20 years, Dr. Holcomb uses a wholistic (whole person) approach to health and well-being. He incorporates state-of-the-art neurological, specific nutritional and detoxification techniques. All of these aspects of the person must be addressed to make significant changes in a person's health. Dr. Holcomb has helped many patients that other doctors and chiropractors in Victoria, TX have given up on, that really had no other place to go. He offers safe and effective chiropractic care that will offer relief to patients suffering with migraines, multiple sclerosis, Parkinson's disease, and rheumatoid arthritis. Please call today to schedule an appointment. Training Post-graduate training in chiropractic neurology and clinical nutrition. Affiliations I am a volunteer speaker or the Foundation for Wellness Professionals, a national non-profit organization that disseminates wellness and health prevention. Services Dr. Tim Holcomb is an experienced and skilled chiropractor in Victoria, TX. Dr. Holcomb is dedicated to providing pain relief through natural healing, as well as nutritional counseling. He offers the very best in chiropractic neurology, using advanced modalities such as the neurological relief technique. Dr. Holcomb also uses nutrition response therapy and creates individualized wellness plans, using a holistic approach to get patients back to optimal health and well-being.